In June 1894, feeling it his duty to ensure his people's salvation, Chief Whaanga left his tribe and New Zealand to perform spiritual rites in Utah's Mormon temples. Despite Whaanga's commitment to Mormonism he met with a slight obstacle on his pilgrimage to Zion. At the time the First Presidency of the Mormon Church discouraged native converts from immigrating to Utah. Missionaries in New Zealand were told not to encourage emigration, "but to strive earnestly to thoroughly ground the saints in the Faith." [See Footnote ii.] Whaanga, Hirini's wife, and several family members traveling with them were diverted from their Salt Lake City pilgrimage. For being so grounded in their faith as to leave their home and journey to Zion, they ended up in Kanab, a city in southern Utah, where they lived with John C. Stewart. The man who baptized the Maori Chief, though, was not the most hospitable host to his convert. Stewart profited from persuading Whaanga to invest his money poorly. 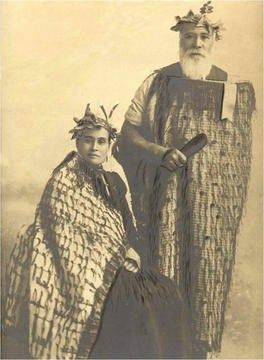 Zion's Maori Association, a group of former missionaries to New Zealand, eventually intervened and moved Whaanga and his family to Salt Lake City and provided them with a home. Whaanga stayed in Salt Lake until 1898 when, at the age of 69 or 70 he returned to New Zealand on a mission for the Mormon Church. Whaanga was no longer a leader but he still maintained influence in his attempts to teach the people in his old home a new faith and he converted many of his people. 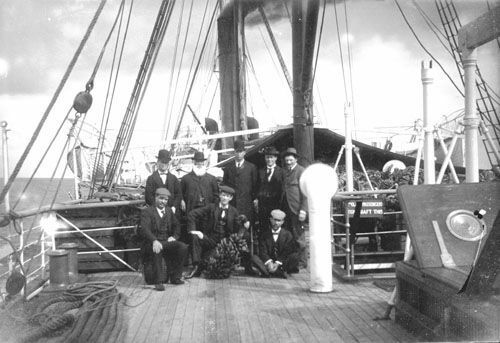 Whaanga returned to his home in Salt Lake City in April 1899. He left his own country for good, where he was a chief of royal descent, to live instead as a disciple of the Mormon Church in the middle of the desert. After his death on October 17, 1905, Elders of the Zion's Maori Association placed a monument over his grave honoring him as a revered chief and leader, a true Christian, and a beloved friend. Whaanga's place in his royal line is forever tied to Salt Lake by this stone. Improvement Era, vol. 9, pages 260-261, "Events and Comments" by Edward H. Anderson, "Lesson of the Life of Hirini Whaanga." The Improvement Era, Volume 11, page 725, "Events and Comments" by Edward H. Anderson, "Monument to Hirini Whaanga"
Photos of Hirin Te Rita Whaanga from Find a Grave (website).